Q: What makes a good weekend in Hungary? KR: I have finished second in Hungary too many times, so I know how important it is to lead the race after the first corner. DRS or not, it’s never easy to overtake at the Hungaroring. To get the weekend right, you have to have good sessions in FP1, FP2 and FP3, then a strong qualifying session and finally a perfect start to the race. Q: But your only win here came in 2005 starting from fourth on the grid? KR: I got a very good start to be second at the end of the first lap and everything went well from there. KR: It is always nice to go to Hungary. The circuit is not the most difficult of them all, but it is a really challenging venue as it’s usually very hot which makes it a demanding race. Of course, the heat has helped us with the car so far this year so that will make things better, but only if it’s a win will you not suffer from the heat. Q: What are the key elements to a fast car at the Hungaroring? KR: A fast car. It’s such a slow, twisty circuit, so two things are really important there; good turn-in and good traction. If you have those, you have a strong car for the race. Q: How do you ensure a good start? KR: Obviously you need to get to the front in the qualifying, but also avoid the dirty side of the track on the grid. When you look back through the races this season, it seems the dirty side of the track is a real disadvantage in the starts. Q: In some ways this is viewed as a ‘home’ Grand Prix for you? KR: Many times Hungary has been called as the Grand Prix of Finland. A lot of Finns go to this race every year and it is always nice to see the blue and white flags waving. Q: Any more thoughts after your second place in the German Grand Prix? KR: The points were good and we had a strong car. Again we saw that warmer temperatures suited us and we usually get hot weather in Budapest so that should be a good thing. Of course, you never know until you have driven the track in this year’s car. In Germany, my radio wasn’t working properly and I got stuck behind the Mercedes which didn’t help my race. The performance of the cars was pretty close and it’s easier to overtake at the Nürburgring than it is at the Hungaroring, so we will need to qualify well. Q: Was missing your final pitstop there an option? KR: My tyres felt pretty okay when we came to change them, but you cannot know how long they would have lasted or what would have happened in the race. It didn’t help that we had the radio problem as my engineers couldn’t hear me, although I could hear them asking me the questions. It’s easy to say ‘we should have done this’, but you never know for sure unless you try that strategy. We were right with Seb [Vettel] at the end of the race through coming in and putting on the soft tyres, but maybe if we had done things a bit differently we would have been slightly in front rather than slightly behind. Q: This was your best ever result in Germany; does it taste any better than the previous ones or is it only victory that makes the difference? KR: Obviously we are here to try and win races. We couldn’t in Germany because we were not fast enough, but for the team it was a good result after a couple of quite difficult races. We lost some more points to the lead as Seb won, but it’s still a long season and if we keep putting ourselves in a position to at least be fighting for first place then I think we can do it again. Q: Can you go one better in Budapest? KR: There’s no point speculating before you get there. Hopefully we get the result we are looking for. It would be nice to take the break after this race and recharge the batteries in the middle of the season with a good result on the board, but most importantly, it would be good to have the points. Hungarian GP should be Kimi’s best opportunity to win another race this season if the weather is fine. The 2009 podium in the crap car was a fantastic moment especially after the unfortunate injury of Massa. Expecting a lot from this race. Hope there’s thousands of Kimi fans this year too. 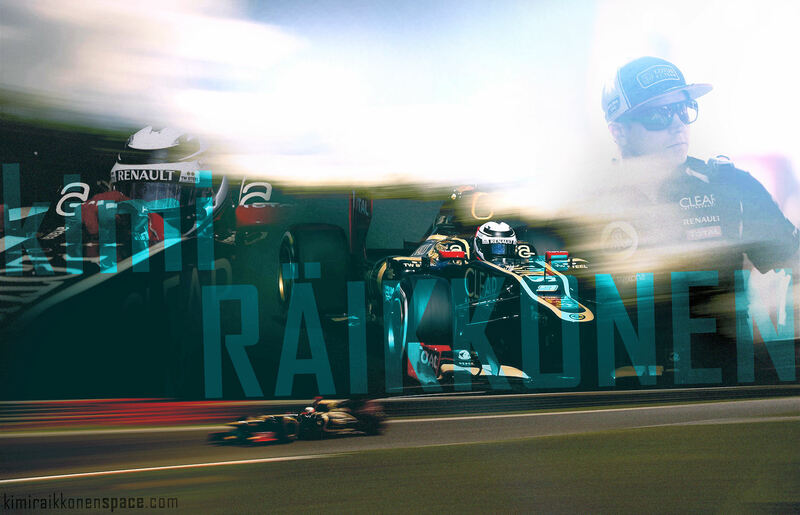 Nothing but victory, c’mon Kimi.